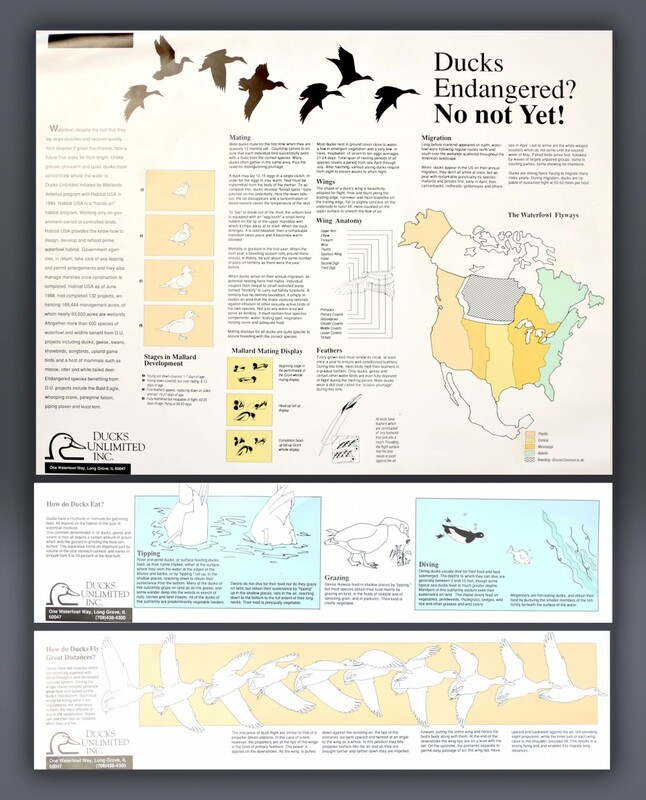 A brochure and poster promoting awareness of migratory patterns of ducks. Pro Bono. Ducks Unlimited: World Leader in Wetlands ConservationDucks Unlimited is the world’s leader in wetlands and waterfowl conservation. DU got its start in 1937 during the Dust Bowl when North America’s drought-plagued waterfowl populations had plunged to unprecedented lows. Determined not to sit idly by as the continent’s waterfowl dwindled beyond recovery, a small group of sportsmen joined together to form an organization that became known as Ducks Unlimited. Its mission: habitat conservation.